Casio PX-770 review: Best Console Digital Piano under $700? 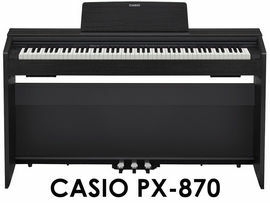 Casio has just updated its Privia range with two digital pianos, the PX-770 and the PX-870 (next model up). Just the other day, I posted a review an in-depth review of the PX-870 and today we’re going to take a closer look at the PX-770. The pianos have a lot in common, but there’re also a few significant differences between the two. 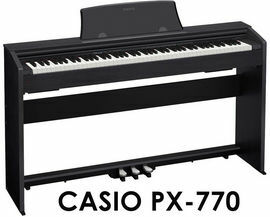 The PX-770 is Casio’s most affordable digital piano with a furniture-style cabinet. It has replaced the PX-760 and comes with a redesigned cabinet, controls, a new 4-layer piano sound and some other improvements. Considering the PX-760 was one of the most popular cabinet pianos in the 700$ price range, the PX-770 promises to be even better. Let’s dive into the review and find out! 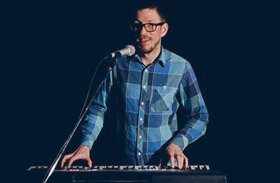 The Casio PX-770 comes with an integrated stand and a triple pedal board. The piano looks sleeker than the previous PX-760 due to the redesigned cabinet which now has fewer seams and more minimalistic design. The cabinet has a wooden texture, which feels and looks very nice. The instrument is equipped with 3 pedals that simulate the functionality of sustain, soft, and sostenuto pedals on an acoustic piano. It’s also very convenient that the PX-770 comes with a built-in sliding cover which will protect the keyboard from the dust. The piano is pretty easy to put together. All you need is a Philips screwdriver and about 20-30 minutes. It will be much easier to assemble the unit if you ask someone to give you a hand. The piano is 54.7 inches wide and only 11.7 inches deep, which make it very easy to fit the PX-770 into small spaces. 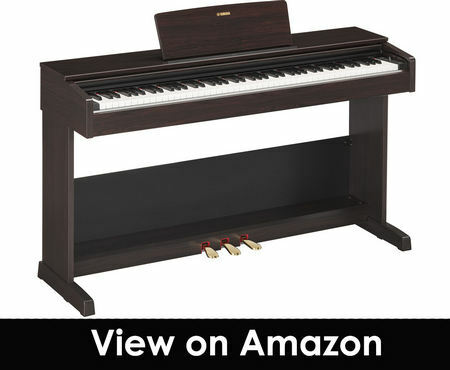 When fully assembled, the PX-770 weighs 69.4 lbs, which is okay for a furniture cabinet piano. Anyway, console digital pianos are not meant to be moved around a lot, and the PX-770 is still much easier to carry than an acoustic piano. In fact, two people will be able to move it around without any problems. 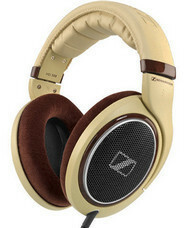 The PX-770 is available in 3 colors: black, white, and brown. So you can choose the one that best suits your home interior. 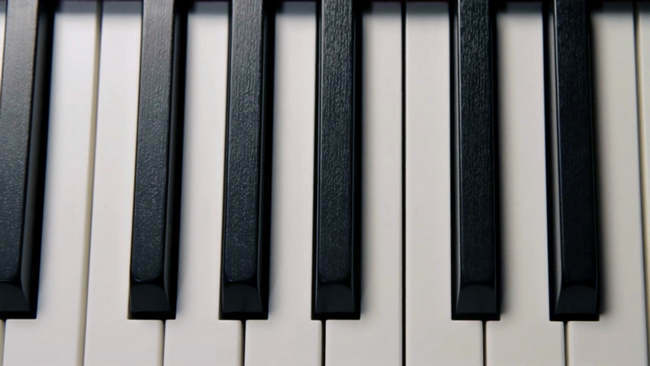 The control elements of the PX-770 have been relocated to the left side of the keyboard, giving the piano a cleaner, less cluttered appearance. There are dedicated buttons for the main sounds (piano, e. piano) and functions (MIDI recorder, metronome) as well as a volume knob. To access most of the functions and settings, you’ll need to press one of the keys while holding the “Function” button. 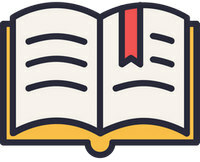 All the combinations can be found in the owner’s manual. Moreover, little labels above the keys will help you understand which keys are used for which settings. The PX-770 doesn’t come with a display, but it’s still quite easy to navigate the piano. Whenever you change a setting, you’ll hear a beep sound(s) according to the currently selected option (1, 2, 3 or 4 beeps), which helps you understand what setting is selected. 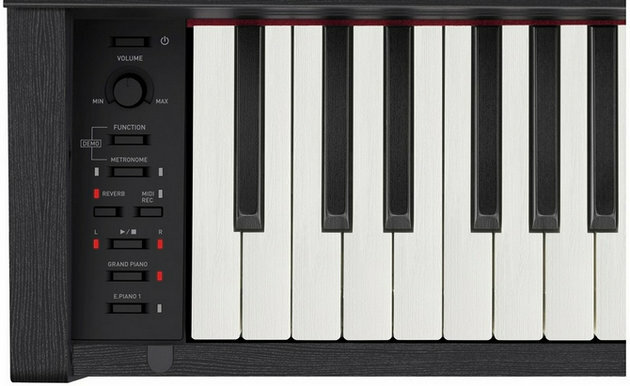 The PX-770 features 88-key fully-weighted keyboard with simulated Ivory & Ebony key surfaces. The keyboard is called Tri-sensor Scaled Hammer Action Keyboard II and it’s the same keyboard you’ll find on all Casio digital pianos under 2000$. So what is so good about this keyboard? First of all, the keys of the PX-770 are weighted with real hammers (rather than springs) which create mechanical movement and feel similar to an acoustic piano. The Scaled Hammer system simulates the characteristic of an acoustic piano where the keys are heavier in the lower registers and become gradually lighter as you go up the keyboard. Each key of the PX-770 uses a triple sensor detection system that sequentially detects touches of the keys, allowing for faster note repetition. The keys are also touch-sensitive, which means the volume will change depending on how hard or soft you play. You can adjust the level of touch sensitivity out of 3 preset settings. For example, when the 3rd setting is selected, you get the widest dynamic range and can play from the soft pianissimo passages right through to the thunderous fortissimo. You can also turn off the touch sensitivity so that the same amount of volume is produced regardless of how hard you strike the keys. It’s also worth mentioning that the keys of the PX-770 have Ivory and Ebony textured keytops, which helps to absorb moisture and aid control. No digital piano in this price range offers that, except for the Roland FP-30 with its Ivory textured keys (no ebony simulation). With that being said, Casio’s Tri-sensor Scaled Hammer Action Keyboard II remains one of the most realistic and enjoyable to play keyboards in this price range. To my fingers, it feels better than Yamaha’s GHS action and slightly worse than Kawai’s RHC and Roland’s PHA-4 Standard action. The PX-770 uses Casio’s proprietary Multi-dimensional Morphing AiR Sound Source. The AiR processor features an increased memory capacity, allowing for better quality samples and even more accurate sound. Moreover, Casio uses lossless audio technology for compressing sound data, which helps reproduce the original piano sound without any quality loss. The PX-770 has an upgraded Grand Piano sound, which uses stereo samples of a grand piano recorded at four dynamic levels. It provides a player with seamless variations in tone and volume, ranging from the soft pianissimo to the powerful fortissimo. Compared to the previous PX-760, the piano tone has been noticeably improved with more natural decay and resonance reproduction. I’ve also noticed improvements in other instrument sounds. It seems that Casio has re-recorded and optimized some of them. Plus, a new sound has been added. Unlike its bigger brother, the PX-770 doesn’t have a Hall Simulator function. But you can still use chorus and reverb effects to tailor the sound to your taste. There are 4 types of reverb you can use to simulate the acoustics of a Room, Small Hall, Large Hall or Stadium making the sound bigger and lusher. The chorus effect (4 types) will make the sound fuller and richer by adding various tone and pitch variations to the notes you play. The PX-770 features 128-note polyphony, which is more than enough even for the most seasoned musician. In this price range, digital pianos have either 128- or 192-note polyphony. Considering the PX-770 doesn’t allow you to record more than 2 tracks for one song, you’ll hardly ever need more polyphony. The PX-770 features 2 x 12cm speakers with 2 x 8W amplifiers. The speakers produce a sound loud enough for casual playing and small performances in a living room but not more than that. Unfortunately, the piano’s 16W sound system can’t get as loud as a real piano, but for its size, the PX-770 sounds very decent. The sound quality remains excellent at any volume across the entire frequency range. Even though the PX-770 uses the same speaker system as the PX-160, you’ll get a bigger and more resonant sound with the PX-770 due to its cabinet design (larger keyboard block). The PX-770 offers 2 versatile modes that will allow you to use several sounds in your performances as well as Four Hand mode for two people to play the piano simultaneously. The Dual Mode allows two different sounds to be layered and played together creating a more complex and atmospheric sound. For example, an acoustic piano layered with a string ensemble would be a beautiful combination. You can actually layer any of the 19 sounds except for the Bass sound. The layer balance allows you to adjust the volume of each tone making one more dominant than the other. Another mode that enables you to play with two different sounds is called Split Mode. The mode will split the keyboard into two parts to which you can assign a different sound. For the left-hand section, you can select only the Bass sound, while for the right-hand one you can select any other sound you like. Duet Play is another great feature often used by teachers during lessons with their students. What it does is splits the keyboard into two equal parts with the same pitch ranges (two middle Cs) so that two people can sit side by side and play the same notes at the same time as if two pianos were being used. The PX-770 doesn’t have an accompaniment function but has something even better. The feature is called Concert Play and it allows you to play along with the recordings of a live orchestra. There are 10 tunes each consisting of 2 parts: a piano part and an orchestra part. First, you can listen to a tune to familiarize yourself with what you’re going to play. Then you can practice the piano part of the Concert Play (each hand can be practiced separately). And finally, you can play the piano part with the orchestra accompaniment turned on. 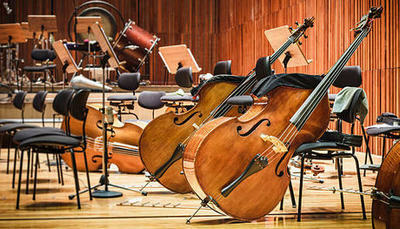 It sounds really amazing considering these are real orchestra recordings. I hoped Casio would add more some more tunes but there’re still only 10 of them. The PX-770 also has a built-in Media Library with 60 different piano songs. You can use them in the same way as Concert Play songs, which means you can listen to them, separately practice each hand part, change the tempo, etc. On top of that you can load up to 10 User Songs (MIDI) from your computer into the PX-770, and they will appear in the Media Library as 61-70 songs. The PX-770 is capable of 2-track MIDI recording. For each song, you can record up to two tracks, which can then be played back together as one song. For example, you can record the left-hand part of a piece on track one and the right-hand part on track two (while listening to the playback of the first track). Alternatively, you can record a different instrument part to each track to create complex multi-instrument songs. If you want to practice R and L part separately, you can turn off one of the tracks and play it live while the other track will be played back. The PX-770 doesn’t have an audio recorder, which would allow you to record the sound of the instrument (rather than a sequence of notes in case of a MIDI recording). The PX-770 has an onboard metronome which is a great tool you can use to practice your rhythm and learn to keep a steady beat. There are 3 functions on the piano you can use to adjust the pitch of the instrument. The transpose function allows you to shift the pitch of the keyboard up and down in semitone steps. With this function, you’ll be able to hear a song in another key, playing it in the original key. Alternatively, you can transpose a song into a different key (e.g., with easier chords) without affecting the melody itself (as if you were playing in the original key). The tuning function allows you to adjust the overall pitch of the keyboard in 0.1Hz steps from the standard A440 tuning. You can use this function to match the PX-770’s pitch finely to that of other instruments or music (old piano, tape). The octave shift function lets you change the pitch of the piano in steps of an octave. By default, the PX-770 uses the standard ‘Equal Temperament’ tuning system, but you can always change it to one of the 16 different temperaments to better suit the style of music you’re playing whether it’s classical, Indian or Arabic music. The PX-770 is equipped with a standard set of connections that will allow you to use the piano with various external devices. On the front, you’ll find two 1/4” stereo jacks that can be used to connect up to two sets of headphones at the same time for silent practice. These jacks can also be used for connecting the piano to an external amplifier, PA system, etc. for sound reinforcement. The PX-770 doesn’t have dedicated Line Out jacks. 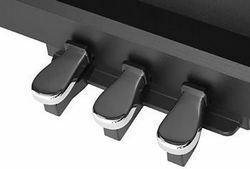 This USB type B port can be used to connect the piano to your computer for exchanging MIDI data, files, settings files, etc. An A-to-B USB cable required for the connection is not included with the PX-770 and you’ll have to buy it separately. Once you’ve connected the PX-770 to the computer, you can use the piano as a MIDI controller, which will be receiving and sending MIDI data to your computer. There are a variety of music apps for both Windows and Mac OS that you can use to expand the capabilities of the PX-770 in terms of music recording, editing, and learning. 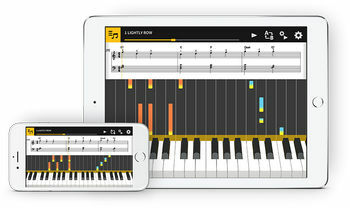 Some apps can transcribe the music you play into notation or help you create music using algorithmic technologies and much more. 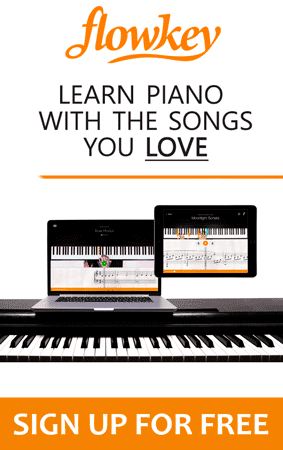 Casio has released the new version of Chordana app compatible with the newly released PX-870/PX-770 digital pianos and available for both iOS and Android devices. With this app, you can control various settings of the instrument using an intuitive on-screen interface. In addition, the app includes 198 built-in songs that you can practice at your own tempo, visually checking the keys you need to play next. Since the piano comes with a cabinet and 3 piano pedals, you don’t have to spend money on that. As for the bench , it’s actually not that difficult to find a good one: check photos, reviews and see if it fits your budget. Casio certainly did a great job with their latest x70 Privia models, including the PX-770. The piano offers a lot of value for the money and is a great compromise between the PX-870 and the PX-160. Whether you’re a beginner or intermediate player, the PX-770 is a perfect choice if you want a cabinet-style digital piano with three pedals and a natural feel but have a limited budget. The PX-770’s hammer action keyboard along with an upgraded grand piano sound and 128-note polyphony are the three main things that make the PX-770 a fairly realistic alternative to a traditional instrument. 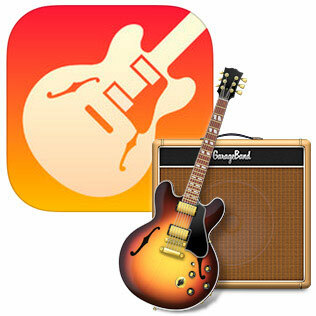 On top of that, you get a comprehensive set of feature that will help you learn and add more fun to your playing. The PX-770 is equipped with 19 high-quality sounds, 50 built-in songs, lesson feature, MIDI recorder and more. Comparing the PX-770 with other popular pianos in this price range such as the Yamaha P-115, Kawai ES110, Roland FP-30, etc., you should remember its main advantage. With the PX-770 you won’t have to buy a stand or a triple pedal bar separately, which will save you money. Moreover, due to the PX-770’s cabinet design, the sound through the onboard speakers is deeper and bigger compared to portable pianos without a furniture-style cabinet. So if you’re a buying a digital piano for home and tight on a budget, the Casio PX-770 is a strong option to consider. The PX-770 seems to be the sweet point between PX-160 and the flagship PX-870 . Below I’ve also listed 3 other wonderful pianos you may want to consider. 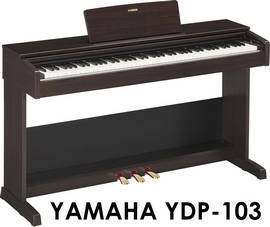 The YDP-103 is the most affordable piano of Yamaha’s ARIUS series of console digital pianos. In terms of features, sound, and action the YDP-103 is almost identical to the portable P-45 model. The YDP-103 uses the same AWM stereo sampling technology, the GHS action and has 64-note polyphony. To my taste Casio’s keyboard feels more accurate and nicer to the touch than the GHS. As for the sound, I’d probably also go with the Casio. The PX-770’s new piano tone sounds very beautiful and rich. In addition, the piano has twice as much polyphony (128 vs 64) and slightly more powerful speakers (16W vs 12W), which ensures accurate sound reproduction. With that said, when it comes to sound, the best option is to visit a store and try out the pianos in person. Unfortunately, the YDP-103 doesn’t have much else to talk about. The PX-770, on the other hand, has a Concert Play feature, a 2-track MIDI recorder as well as more built-in sounds (19 vs 10) and songs (60 vs 10). So overall the PX-770 seems to provide more features for a better price, and the piano sound and touch are not inferior to the YDP-103, at the very least. The CGP-700 is a great alternative to the PX-770 for those who want more than just a piano with a bunch of standard sounds and features. The piano unlocks a world of options for musical creativity offering 550 built-in sounds, 200 accompaniment styles, 305 music presets, over 35 sound effects. 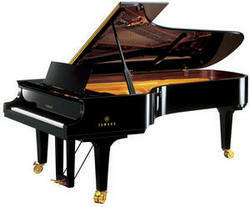 Moreover, the piano has extensive recording capabilities such as a 17-track MIDI recorder and an Audio (WAV) recorder. At the same time, the CGP-700 is just as good for piano playing. It features the same tri-sensor hammer action and 128-note polyphony found on the PX-770. But when it comes to sound, the CGP-700’s MXi processor offers slightly less sophisticated piano sound compared to the PX-770’s AiR sound source with its new Grand Piano tone. 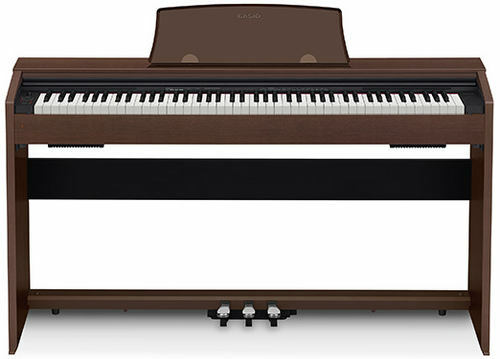 At the same time, the CGP-700 is equipped with a unique 6-speaker (40W) sound system that you won’t find in any other piano in the price range. Such powerful speakers offer an excellent dynamic range and make the CGP-700 sound more like a plausible piano. Another great feature of the CGP-700 is its 5.3-inch color touchscreen, which makes the whole interaction with the piano much more enjoyable. So if you want a digital piano that not only provides a realistic piano playing experience but also have lots of useful features for music production, learning, and entertainment, then the CGP-700 is an excellent choice. Last but not the least, the CGP-700 can be removed from its stand and used as a stage piano easily (it’s only 26 lbs without the stand and has dedicated Line Outs). 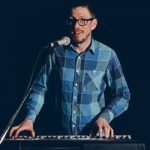 The reason why I’ve included the P-115 in this list is that although it’s a portable piano, you can buy it bundled with a furniture stand and 3-pedal bar which will make it very similar in look and price to the PX-770. The P-115 is a very popular intermediate keyboard from Yamaha, which boasts the Pure CF sound engine, the Standard Graded Hammer action, and 192-note polyphony. The piano offers a high-grade piano sound sampled from the Yamaha CFIIIS 9′ Concert Grand and delivered by the 14W speaker system. Still, the PX-770’s 16W onboard speakers combined with its cabinet design sound slightly fuller and more resonant than the P-115’s. The PX770 also offers 5 more instrument sounds (19 vs 14) and hammer response feature. On the other hand, the Yamaha has dedicated Line Outs, “full” Split Mode and 10 accompaniment styles. As for the rest, the pianos are very similar in features. In my opinion, the P-115’s main advantage is that it’s essentially a portable piano, which means you can take it with you to gigs and rehearsals. 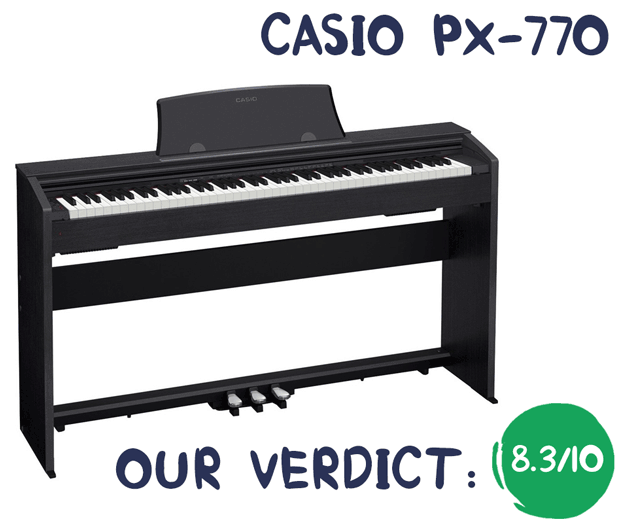 Whereas the PX-770 is an in-home piano and cannot be used without its furniture stand. Lucas, great input based on what I believe is your personal experience with the PX-770. A couple months ago I put my 7 yrs-old son into piano lessons and we’re looking to buy an 88-key digital piano so he can have a “closer to the real thing” feeling when practicing at home. Looking to get the best value for money since he doesn’t seem to be that much into it (at this point)… and looking for something in the $1000 (CAD) ballpark. Considering the Casio: PX-160 + furniture stand and triple pedals (CAD 650), PX-770 (CAD 999) and Kawai ES110 + 1 pedal and furniture stand (CAD 1150). I saw and touched the PX-160 and ES110 in a store and was slightly more attracted to the Kawai keyboard feel… Turn-offs were the lack of the “duet” mode and pretty unintuitive interface. What would be your pick if you had to choose between the new PX-770 and ES110? Agreed, the ES110 feels very good for its price and has arguably the most realistic keyboard in this price range. Well, if I were buying a digital piano solely for home use I’d probably go with the PX770 and its cabinet design, which will give you a slightly bolder/bigger sound. The new piano sound on the PX770 is just great. On the other hand, if you want to be able to move your instrument around from time to time I’d definitely recommend the Kawai ES110. In this price range, it’s really hard to beat this keyboard in both sound and touch. Also, as you mentioned, it has a slightly nicer feel and less noisy keys compared to the Casio. You may also want to look at the Roland FP-30, which is in the same price range. Hi! I would like to ask about the connectivity that you mention.Does both the jack-in only plays headphone or one jack would play in the headphone and another through the piano speakers? Hi Val, no matter if you plug in one pair of headphones of two, once you do, the built-in speakers will shut off, and you’ll only hear the sound in the headphones. The PX-870 has a setting where you can choose to output the sound to the speakers even when headphones are connected, the PX-770 doesn’t have that. considering the prices here, would you say it worths spending the extra money on yamaha 143 or casio 870? im a beginner who will mostly play with headphones to not disturb the neighbours. Hi, Atas, it’s not as straightforward as “superior” or “inferior”. In most cases you get what you pay for. Since all of these instruments are in the same price range, they’re pretty much on the same level. Now, some people like the YDP-143 more, others say that the PX-870 is better all around. It’s hard to say what piano you’ll personally like more unless you try them both. To my taste, the Tri sensor Hammer Action II of the Casio instruments provides a more realistic feel than Yamaha’s GHS. The sound is good on both instruments, but again it’s quite subjective. With the PX-870, you get more organic elements of piano sound that you also have control over (string resonance, hammer response, key off, etc.). The Yamaha is more basic and straightforward when it comes to all those extra features. Hi there! Would love to see if you have any review between Casio PX770 vs Roland FP30 – about to head to local GC and make a final decision soon! Really enjoyed all of your reviews. They have been extremely helpful and unbiased. Will absolutely recommend all my friends to read through before considering their keyboard options. Hey Johnny, thanks for the kind words! Well, in your case, just go out there, play both instruments and get the one you end up liking the most. By the the way, the PX-770 is now on sale, so you can get it for ever less money than the FP-30. The advantages of the PX-770 would be a furniture cabinet design and 3 piano pedals it comes with. The FP-30 has Bluetooth connectivity (compatible with Piano Partner 2 app), more built-in tones, and arguably a better key action. Hi Lucas, Hope you are well. Firstly, thanks a lot for these reviews, these are super helpful. I need guidance from you regarding my buy. I have narrowed down my list to Yamaha P125 (with Stand & 3 Pedel) and Casio Privia PX-770. Both of these are available in more or else same range of price in my Country. 1) Polyphony – P125 offers 192 whereas PX-770 offers 128, how much of an impact can this have on a player due to this, should I consider higher polyphony? 2) Preservation – P125 does not have any natural cover to it, however Px-770 is offering a hard slide cover to protect the keys and the instrument. I am sure the P125 can be preserved with a bag or cloth but somehow feel that PX-770 contributes more in the longevity of the instrument. What are your suggestions on this? 3) Sound – P125 has CF pure Sampling & PX-770 has AIR Sound Source. Which is more impactful and worth the buy? 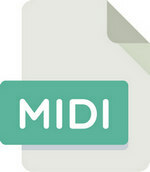 4) Midi/USD Port – P125 has a Midi in/out where as PX-770 only supports USB port. How can this impact me as a player? I intend to record my pieces regularly and upload it to my computer for further processing (and vise versa). Your comments will be greatly helpful.